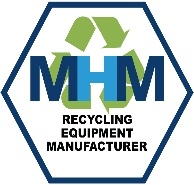 At MHM(UK)LTD we’re committed to protecting and respecting your privacy. This Policy explains when and why we collect personal information about people who visit our website,use our contact form, phone into our company or supply products or services to us. It details how we use it, the conditions under which we may disclose it to others and how we keep it secure. We obtain information about you when you use our website, for example, when you contact us about products and services, use our online Contact Us service, submit feedback or if you fill out a product return form. In addition, we will collect information about you if you phone, email or fax into the organisation with a question or query or if you supply us with products or services. The personal information we collect might include your name, address, email address, telephone numbers, fax number, country of residence, IP address, and information regarding what pages are accessed and when. Your information will be shared internally, including with members of our sales teams, marketing, quality, management and IT and facilities staff if access to the data is necessary for performance of their roles. Your information may also be shared on occasion with third parties for the purposes of marketing and promotional activities. Will not sell or rent your information to third parties. Third Party Service Providers working on our behalf: We may pass your information to our third party service providers, agents, subcontractors and other associated organisations for the purposes of marketing activities on our behalf (for example, email marketing companies processing our customer survey, promotions). However, when we use third party service providers, we disclose only the personal information that is necessary to deliver the service. Please be reassured that we will not release your information to third parties beyond the MHM(UK)LTD network for them to use for their own direct marketing purposes, unless you have requested us to do so, or we are required to do so by law, for example, by a court order or for the purposes of prevention of fraud or other crime. Cookies are small files saved to your computer’s hard drive that track, save and store information about your interactions and usage of the website. This allows the website, through its server to provide you with a tailored experience within our website. Our website also includes links to the websites of other companies which are clearly marked. Although we look to include safe and relevant external links, users are advised to adopt a policy of caution before clicking any external web links mentioned throughout this website. We cannot guarantee or verify the contents of any externally linked website despite our best efforts. You should therefore note you click on external links at your own risk and we cannot be held liable for any damages or implications caused by visiting any external links mentioned. As part of the services offered to you through this website, the information which you provide to us may be transferred to countries outside the European Union (“EU”). By way of example, we may receive an online enquiry from a customer based in a country outside the EU of which we have a subsidiary located or products may be manufactured outside the EU. These countries may not have similar data protection laws to the UK. By submitting your personal data, you’re agreeing to this transfer, storing or processing. If we transfer your information outside of the EU in this way, we will take steps to ensure that appropriate security measures are taken with the aim of ensuring that your privacy rights continue to be protected as outlined in this Policy.